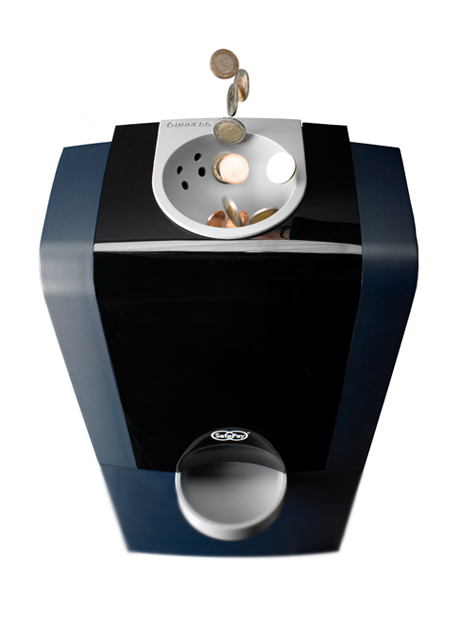 Payment solution for checkouts which combines note and coin recycling units and secure transfer of cash to the back office for collection by CIT. 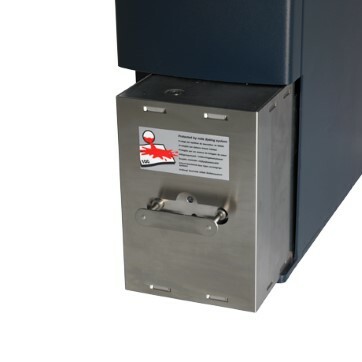 Part of the SafePay closed cash handling solution for retailers. SafePay SCL End-to-end ink protection. Cash paid into SafePay in the checkout line is taken by staff in sealed, ink-protected cassettes and deposited into SafePay SCL in the back office. 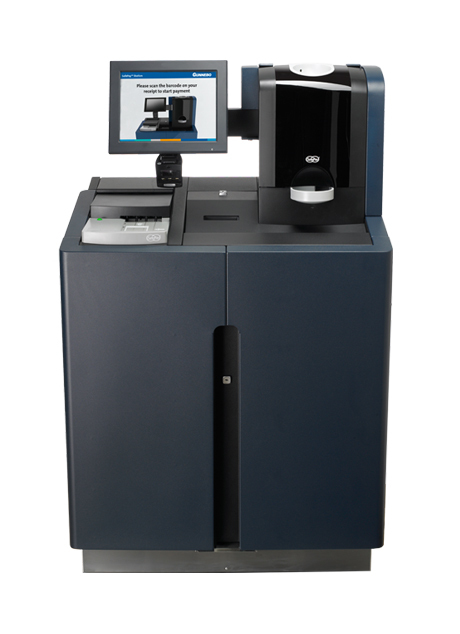 The cash is automatically deposited into an ink-protected security case which is ready for CIT pick-up. SafePay CTU Integrated process which ties together the front office, back office and CIT. 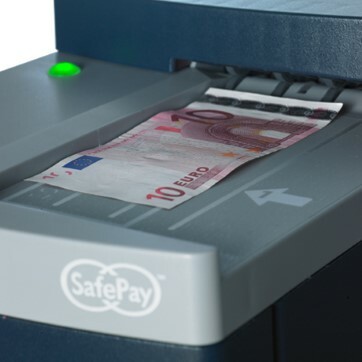 Cash paid into SafePay in the checkout line is taken by staff in sealed, ink-protected cassettes and deposited into SafePay CTU in the back office. The cash is automatically deposited, stacked and sealed in special security bags ready for CIT pick-up.